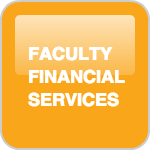 The mission of the Humanities Financial Services Team is to provide efficient, accurate and timely financial assistance and superior customer service to our faculty, staff, students and the greater UCSC community. Staff Sign Up for Financial Processing Training. Click "Learning"